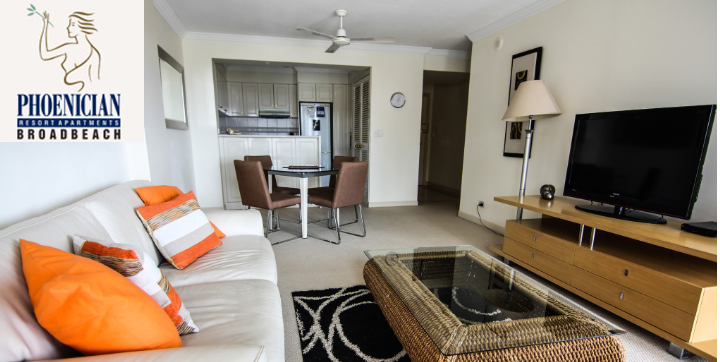 Without some helpful suggestions, choosing holiday apartments on the Gold Coast could be really confusing, because there’s certainly no shortage. When you consider that Gold Coast City stretches all the way from Beenleigh to the border with New South Wales approximately 56km south, and from the coast inland to Lamington National Park – and comprises some 70km of coastline – I can’t even guess at how many hotels, motels, resorts, B&Bs, hostels and caravan parks there must be! So just how can you sift through all those holiday apartments on the Gold Coast, and find the one that’s best for you? Well, firstly, decide what type of accommodation you would prefer. For example, if camping is your thing, then clearly you simply check out the list of campsites. Easy! And if you have your heart set on a hotel, Google ‘hotels Gold Coast’ and away you go. But, have you asked yourself why you need a hotel? It might be that you could find something far better, for the same price or less! 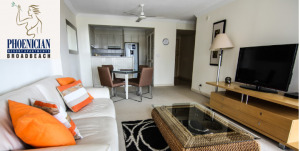 Gold Coast luxury apartments are not as expensive as you may think and offer many advantages over hotels, such as more space and more flexibility. And choosing self-contained holiday apartments on the Gold Coast can make for a much more relaxing break than a hotel. With all the benefits of a house, including a fully-equipped kitchen, you can do exactly what you please. If you’re travelling with the kids, being able to feed them in the apartment can save money – and stress! And if it’s just the two of you, it gives you the opportunity to tour the many farm gates and cellar doors in the region, and bring all your goodies home for dinner! So, you’ve narrowed your search down to Gold Coast luxury apartments. The next question is where? The obvious answer is Surfers Paradise – and that’s perfect if you want to party every night and don’t mind a fair bit of noise around the resort. My personal choice is always Broadbeach, one of the best beachside suburbs on the Gold Coast, as far as I’m concerned. With everything you need for a great holiday, Broadbeach has still managed to maintain its traditional seaside charm. Many of the lovely old homes remain, and it’s not shoulder-to-shoulder apartment blocks. Of course, you want to be close to the beach, so look for resorts in that locality, say around 100m from the sand. And it’s likely you want a pool, too, so add that to your search. I also prefer a resort with both indoor and outdoor swimming pools, so I can swim at any time of day or year in comfort. Just saying! And whether I’m staying for business or pleasure, I still demand a resort that includes the ‘basics’, such as a spa, sauna and gymnasium. As for the apartment itself, air-conditioning and a security system is a given, as well as plenty of space, balcony, fully-equipped kitchen, Queen-sized bed and you may as well throw in Austar. So, once you actually define what it is you’re after, you’ll discover exactly what you’re looking for – Gold Coast luxury apartments that turn an ordinary holiday into something special.